A wonderful woman to know and love, Gloria Feist filled the lives of those around her with immeasurable joy. Ever loving and kind, Gloria was just as caring and compassionate as she was faithful to all who knew and loved her. She gave of her time and talents, and she counted her devotion to her faith and family as her greatest blessing. Deeply cherished during her time here on earth, she is now a treasure in heaven to be remembered forevermore. Life was infinitely changed for America in 1941 with the attack on Pearl Harbor. As countless young servicemen and women were sent overseas, women entered the work force in droves. World War II was news of the day, and much was being done on the home front for the war effort. While manufacturing changed its primary focus to the needs of war, those back home freed their minds from everyday worries as the entertainment industry made great strides. Yet in the riverfront city of Grand Rapids, Michigan, Henry and Jo (Sivak) Fortuna experienced some changes of their own when on Halloween day, October 31, 1941, they welcomed the birth of their little girl, Gloria. The third of eventually four children in her family, Gloria grew up alongside her siblings Henry, Maryann and Joey in the Comstock Park area of Grand Rapids where her family made their home. Her father worked as a supervisor at McInerney Spring and Wire while her mother looked after their household along with working at a local grocery. A young girl typical of her generation, Gloria was a friend of many while attending the local schools. In high school she was very outgoing and involved. She played on the girl’s basketball team and the clarinet in the school band. Quite studious when it came to her studies, Gloria was one of several who made it to state finals in government. Having graduated in 1959, Gloria was honored to have graduated salutatorian of her class. It was shortly after high school when Gloria met the love of her life, Ron Feist at the Fat Boy hamburger restaurant. Ron was quite taken with her ready smile, and asked her out on a date. 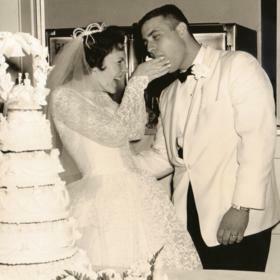 Before long the couple fell deeply in love, and on April 22, 1961, they began what would become 57 years of abiding faithfulness to one another. The newlywed’s set up house in Grand Rapids and to their union they welcomed the births of two fine sons, Ron and Tim. Through the years they enjoyed many family trips around the country and shared memorable times during the holidays. Gloria made a good home for Ron and their boys and loved nothing more than being there for them. She ran their household with ease and fed the hearty appetites of the special men in her life with her good cooking. Some of her specialties included her delicious chili, stuffed cabbage soup, fried fish, and pork chop dinners. She also canned tomato juice, pickles, and beans. In the fall of 1966, Ron and Gloria moved their family from Grand Rapids to Hickory Corners before making the Vicksburg area their home in 1976. 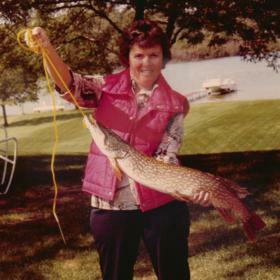 They lived on Indian Lake in Vicksburg where Gloria took in her love of fishing and watching the kids with their boats. Gloria and Ron enjoyed many great times together as a couple. 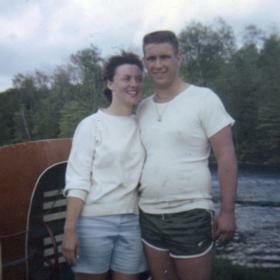 Ron raced boats for nearly 12 years and Gloria was right there by his side, always going along with him. She loved working in her flower gardens, although allergies and asthma found her hospitalized several times over the years. She loved sun bathing and times spent camping and fishing, too. Gloria reveled in watching the birds around their home and was sure to have several bird feeders. As an avid reader, she volunteered at the library in Vicksburg for a time and she always had a good book with her whenever they traveled. 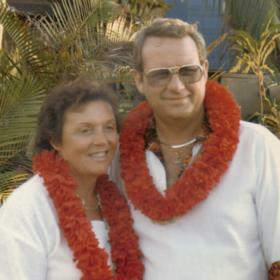 Gloria loved to travel and just a few of their destinations included trips to Hawaii, Florida and the islands. In later years she enjoyed going to the casino.  Having been raised in the Catholic faith, church was very important to Gloria. She was a lifetime member of St. Martin of Tours where she gave of her time. In fact, she eventually even persuaded Ron to join her for Mass each week! Gloria became quite close to three girls from church and they lovingly considered Gloria their “adopted” grandmother which made her heart glad. Gloria Feist considered herself blessed beyond compare. She had a great family who loved her dearly, and her caring kindness towards others was evident in all she said and did. A positive, upbeat woman, Gloria’s wonderful attitude, despite her ill health, was a testament to her unwavering nature. Deeply missed, the memory of Gloria will live on in the hearts of those who came to love and know her. Gloria Feist, age 76, of Vicksburg, went home with her family at her side on June 27, 2018. Visit with her family and friends and view her life story film on Sunday, July 1 from 4:00 p.m. to 7:00 p.m. with a Rosary at 7:00 p.m. at the McCowen & Secord Funeral Home, Rupert-Durham Chapel, 409 S. Main, Vicksburg (269-649-1697). 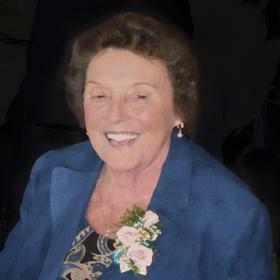 A funeral mass will be held on Monday July 2 at 10:30 at St. Martin of Tours; 5855 E W Ave. Gloria’s family includes her husband of 57 years, Ron; her children: Ron (Robin) and Tim (Laurel); her siblings: Henry (Mary) Fortuna and Maryann (Larry) Feist; her siblings-in-law: Marcia Fortuna, Sue Luurtsema, Nancy (Allan) Brown as well as several nieces and nephews. She was preceded in death by her parents, her brother Joey, daughter-in-law Kathy Feist and her brother-in-law Robert Luurtsema. 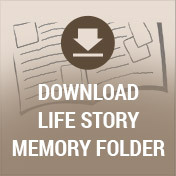 Please visit Gloria’s memory page at www.mccowensecord.com where you can read her life story, archive a memory or photo and sign her memory book online. In lieu of flowers, memorial donations can be made to St. Martin of Tours Catholic Church.